Rob Schiel worked as a beer truck driver by July 1992. But that wasn't what he wanted to do, he told The Associated Press that month. The veteran of just two seasons in the minors' goals were simple. He was trying out then to play in the new independent Northern League, The AP wrote. "I'd like to play again," Schiel told The AP. "I don't know what to expect. I know I want to play again." Schiel did play again, just not in the Northern League. He's credited as returning in 1996, playing 36 games for independent Sonoma County. It was his third and final season as a pro. 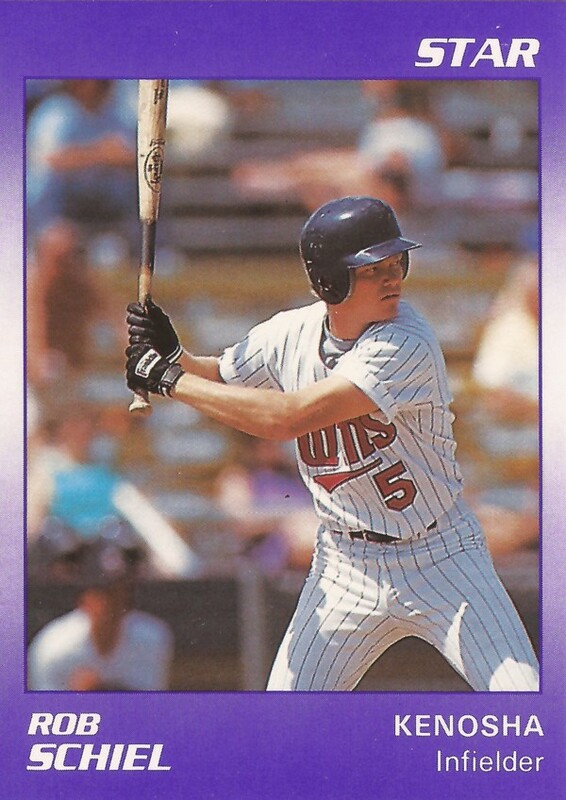 Schiel's career began in 1989, taken by the Twins in the 41st round of the draft out of St. Cloud State University in Minnesota. At St. Cloud, Schiel made the all-division team in 1989. For 1990, he moved to single-A Kenosha. In 29 games, he hit just .147, with another two home runs. He moved mid-season to the Reds and single-A Cedar Rapids, but he hit little better. He hit .200 in 38 games. It was his final year in affiliated ball. It was in 1996 that he is credited with making his return, playing for Sonoma County. In 33 games, he hit one final home run, but got only 16 hits, ending his career.